DIY T-Shirt Crafts Only $10.44! You are here: Home / Great Deals / Amazon Deals / DIY T-Shirt Crafts Only $10.44! Here’s some great ideas on how to recycle those old tees that you just can’t throw away but you don’t wear anymore. 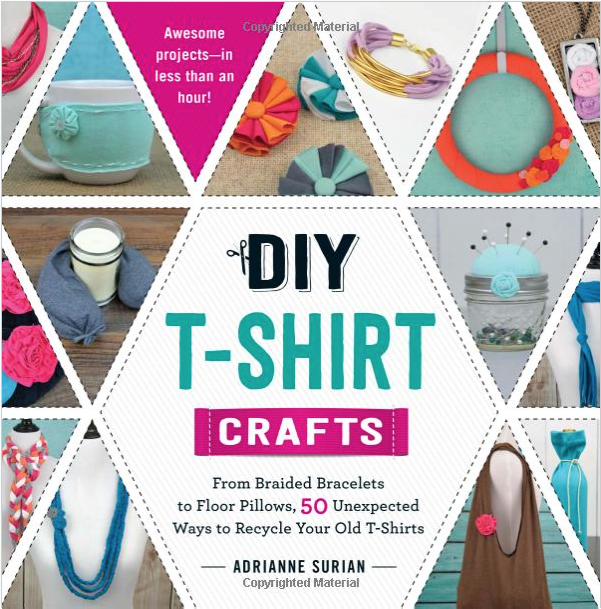 Get the DIY T-Shirt Crafts book By Adrianne Surian for Only $10.44 from Amazon! From an Easy Twisted Headband to Round Lounge Pillows, DIY T-Shirt Crafts teaches you how to repurpose old T-shirts into 50 beautiful projects worthy of showing off in 60 minutes or less!